There's a good amount of debate on this topic, though much of it happens in hushed tones. Happily, Grown and Flown has raised the volume by posting a great essay on the topic. Included is a nod to the social media impact here: social media may be driving some of this trend... but it also provides support for those who are struggling and need a self-esteem boost or a sense of community over a surgery. At the root of this debate, it is important to remember that not all cosmetic procedures are created equal. Sure, some are driven by exaggerated beauty ideals, but many help to correct congenital deformities, hide the scars of trauma, or fix cosmetic issues that have major health implications, too. That said, there are age cut offs for many of these surgeries which parents (and kids!) need to know. Why? Because a breast reduction won't work if the breasts are still growing, for one. What do Selena Gomez’s nose, Kylie Jenner’s lips, Justin Bieber’s chin, and Ariana Grande’s cheekbones have in common? 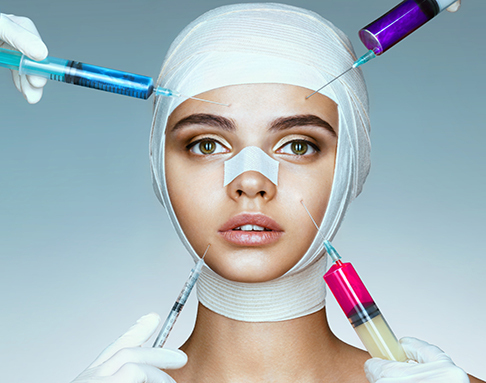 They are some of the most gazed-upon facial features in the world, and therefore are some of the most coveted looks, according to both Instagram – and and plastic surgeons.